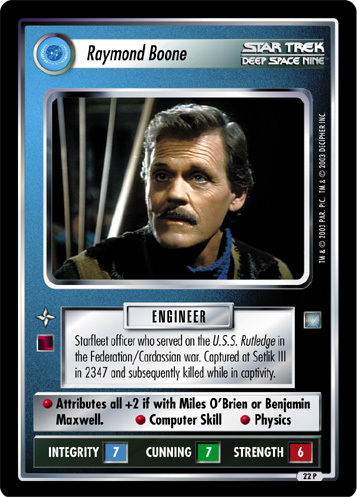 Starfleet officer who served on the U.S.S. 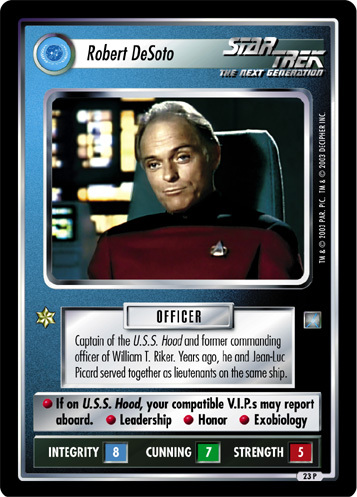 Rutledge in the Federation/Cardassian war. 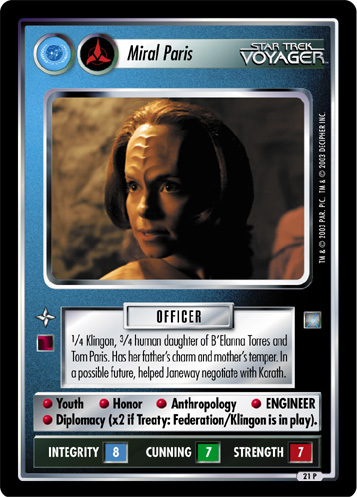 Captured at Setlik III in 2347 and subsequently killed while in captivity.